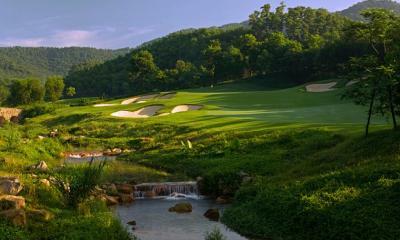 Located an easy 60 minute drive from Hong Kong International Airport, The Mission Hills Golf Resort boasts 12 18-hole courses designed by international golf stars Greg Norman, Jack Nicklaus, Ernie Els, Annika Sorenstam, Vijay Singh, Nick Faldo, Jose Marie Olazabal, David Duval, Jumbo Ozaki and renowned golf instructor David Leadbetter - some of the most prestigious golf courses in china. The incredible facilities at the Mission Hills Golf Resort China are second to none and include: three magnificent clubhouses; 3000 trained caddies; 216 outstanding holes of golf; David Leadbetter, a half a dozen full service spas; and a dozen restaurants. The resort even features night golf via a sophisticated lighting system on a select number of courses at the resort. 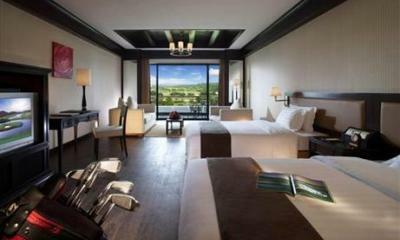 The Mission Hills Golf Resort China is the only 5-star hotel in China which has been awarded the China Hotel Golden Pillow Award for being the best business holiday resort. The property is set amidst a backdrop of rolling hills and lakes. 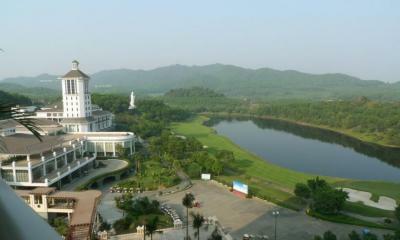 Perfectly situated in the heart of the best golf courses in China, the resort houses 315 bedrooms, each with a balcony allowing unobstructed views of the golf courses. Guinness World Records recently named Mission Hills Golf Resort the World's Largest Golf Club, surpassing Pinehurst in North Carolina. Tournaments and events previously hosted by the club include The 2007 World Cup of Golf, the Mission Hills Tiger Woods China Challenge, the inaugural Dynasty Cup, The Faldo Junior Series and numerous other international competitions. 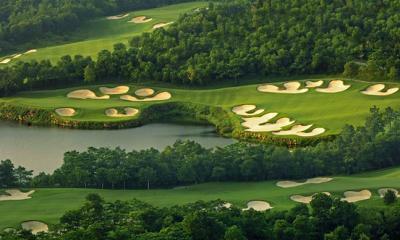 **Please note accommodations and golf can also be arranged for Hong Kong as well - combined making a truly remarkable golf getaway. 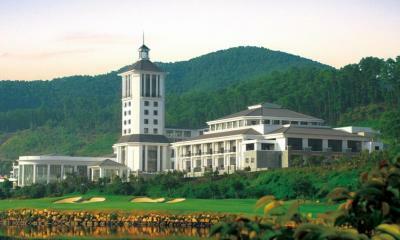 All transportation with options of English Guides can be arranged for all China based golf vacations. Please enquire about group pricing today! !